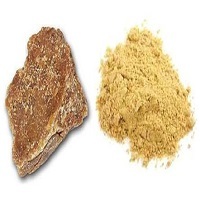 Hing is also known as Asafoetida in English. It is a spice which is used as a digestive aid, in pickles and also in food as a condiment. It naturally works as anessence enhancer and is also used along with turmeric. It is used extensively in Indian cuisine, mainly in lentil curries like dal and also in various vegetable dishes. It is commonly used in Maharashtrian and South Indian cuisine because they are mainly vegetarian and is frequently used to harmonize salty, spicy,sweet and sour components in food. Hing is adulterated with soap stone or other earthy material which can adversely affect one’s health.